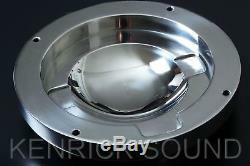 KENRICK SOUND Stainless Steel Bubblebacks Cover for JBL 375,2440 from JAPAN F/S. It is possible to replace easily with genuine parts cover. Improvement in sound quality has more than imagination. If you replace the late model 375 of the flat cover with this bubble bag, it changes to the same specification as the initial model 375. It also fits perfectly to JBL 376 and 2440, 2441. Please let me know if you have any questions. Also, please tell me if you have what you're looking for in Japan items. International Buyers - Please Note. 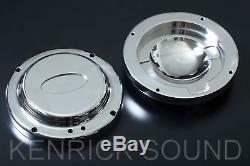 The item "KENRICK SOUND Stainless Steel Bubblebacks Cover for JBL 375,2440 from JAPAN F/S" is in sale since Saturday, August 5, 2017. This item is in the category "Musical Instruments & Gear\Pro Audio Equipment\Other Pro Audio Equipment".